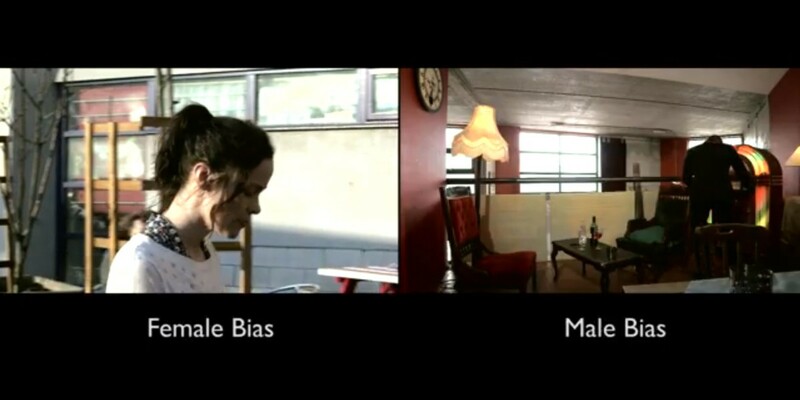 The BBC has today unveiled ‘Visual Perceptive Media,’ an experimental project that creates video stories that are automatically edited on the fly to suit individuals’ tastes and personalities. The work follows the earlier audio-based Perceptive Media project, where a radio drama changed based on factors like the listener’s location and the time of day. That spawned a ‘Perceptive Radio’ concept device that adjusted the content it played based on location, time, proximity to the device and background noise. The new video project begins with a personalization process that is conducted via a mobile app. The app tracks your music taste and asks you questions about your personality, such as how creative, confident and outgoing you are. This data is then used to assemble various elements of a video drama into an edit tailored to you. Depending on the profile built up for you, action in scenes may change; certain characters’ perspectives may be emphasized more than others; some scenes may be different lengths or cut all together. Even the color grading and soundtrack of the video can vary. The project, being conducted by the BBC’s R&D unit in Salford, UK, is still at a very early stage and there’s no interactive demo available yet. Although the mobile app is the source of personalization for now, in the future all sorts of factors and data sources could feed into how a video is presented – videos could even react to real-time data sources. Visual Perceptive Media breaks media into objects that are played based on a user’s profile. In Metal Gear Solid 2 on the PlayStation 2, there was a whole section that you only got to play if you told the game that you’d played the previous title in the series. Imagine a TV show that is different depending on how many previous episodes you’d seen. As consumption moves online, it’s easy to imagine Perceptive Media becoming popular, even if it simply helps us avoid spoilers in other shows. Although the project is still at an experimental stage, it shows how the future of online video may play out. The BBC is working on a public prototype to allow more people to try the concept for themselves.